Includes: Dress with attached corset, apron, pettiskirt. 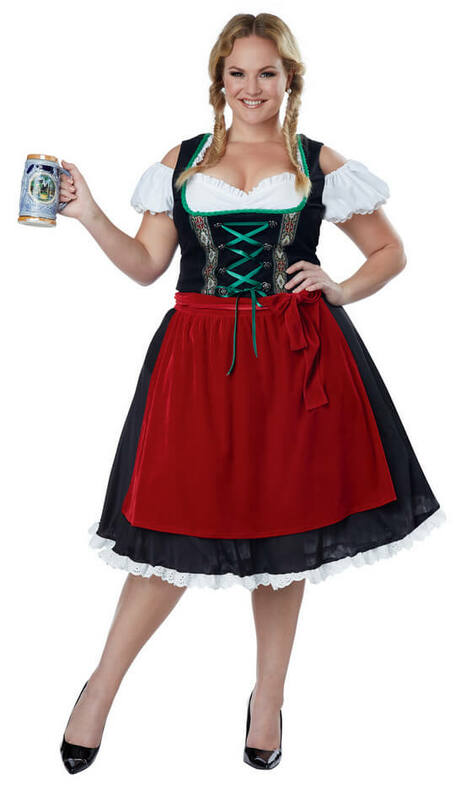 Knee-length Bavarian-style dress with black microfiber bodice with embroidered ribbon trim and green satin ribbon lacing up the front around antiqued silver buttons. Eyelet lace trim on the skirt. Zip closure in back. Deep red velvet apron with bow accent. Black mesh pettiskirt.